This weekend, Toshiba has officially announced the launch of its newest and latest tablet running the Windows 8 Pro OS. The tablet is called the WT310 and features a large 11.6-inch full HD resolution screen. The new tablet is best optimized for Business with a range of features specifically designed to help mobile workers. handwritten notes and text into documents for editing thereby making it easier to create and edit documents. The Tablet has a wide range of connectivity options and comes with pre-installed security & data management features and business utility tools like the Trusted Platform Module (TPM v1.2), Intel Active Management Technology (AMT), Intel Anti-Theft and Toshiba Eco Utility software. The official sales price of the WT310 Tablet has not been announced by Toshiba during the release of this post but it will be announced very soon, what do you think about this Tablet? 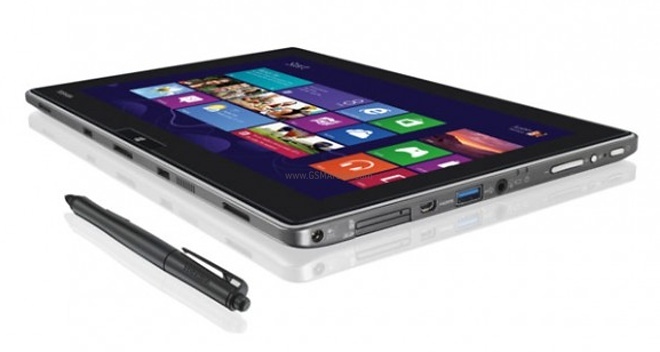 Do you prefer it as its running Windows 8 to Android 4.2 Tablets?